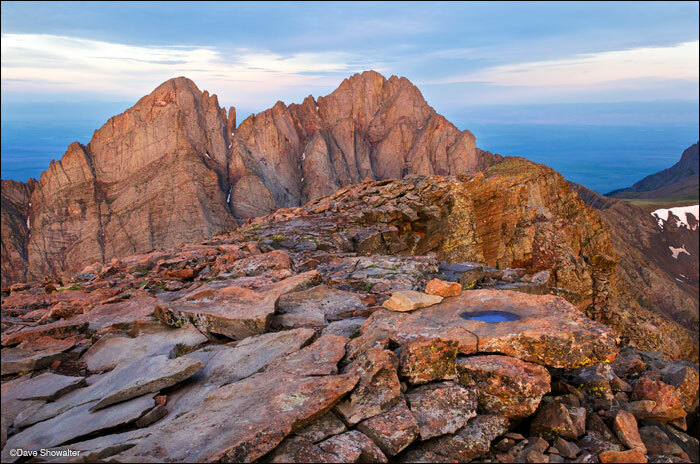 First light from The Humboldt Peak summit (14,064') illuminates the mighty Crestone Needle (14191') and Crestone Peak (14,294'). Although Humboldt is frequently overlooked for the more rugged and higher surrounding peaks, the summit has one of the more amazing alpine views in Colorado - in my humble opinion of course. . Photo © copyright by Dave Showalter.